Abigail Reynolds extends to the viewer the illusion of occupying multiple times and or places simultaneously. The concept of time and “point of view” play an important role in the artists work. In her own words: “…I slice apart …rooms, building on the rupture of consumption” and she weaves “one photographic space across another” in her cuts. Abigail Reynolds extends to the viewer the illusion of occupying multiple times and or places simultaneously. 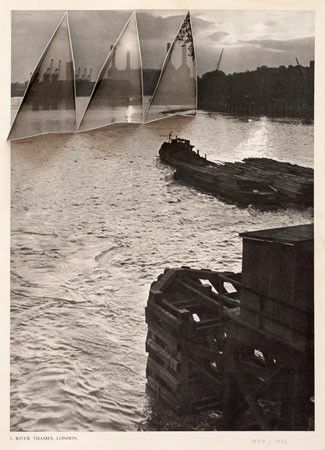 She works with historical sites depicted in photographs taken from old mass-produced books. By splicing two or three photographs together very precisely, a collapse of time or place is effected.